I can’t believe it is February already! Having said that, I must admit that I’ve been a little distracted lately and have fallen behind in the blogging world. Each year in January, I like to look back at the previous year’s posts and pick out some of my favorite recipes to highlight. Since it IS February, I’m obviously a little late with this, but I figure it’s never too late to share a good food post. Right? So today I’m sharing 13 favorite recipe of 2016. We have a sandwich, salad, Mexican food, soup, and some awesome desserts! The fall season brings so much stress. First we have the back to school season, and that is immediately followed by the holiday season. This also just happens to be the time that is the busiest for my business. With everything going on, it is absolutely essential that I am feeling well and have plenty of energy. One thing that I find helps with this is Emergen-C®. Today I’m going to tell you why Emergen-C is a fall must-have for me, and I’ve got a delicious “better for you” popsicle recipe featuring the product! The weather is perfect where I live right now. I’m so excited to break out my summer clothes and enjoy summer activities, but I’m even more excited to enjoy a little summer snacking. If you know me, you know that I love nothing more than indulging in sweet treats, especially frozen treats. Hello all! 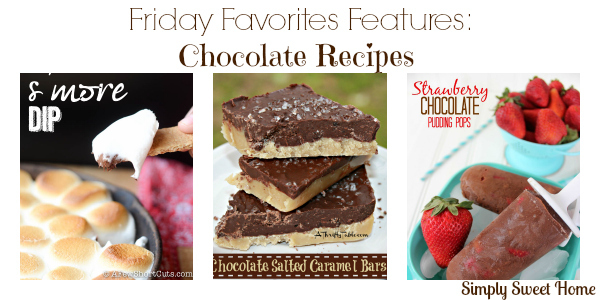 Welcome to this week’s Friday Favorites party! 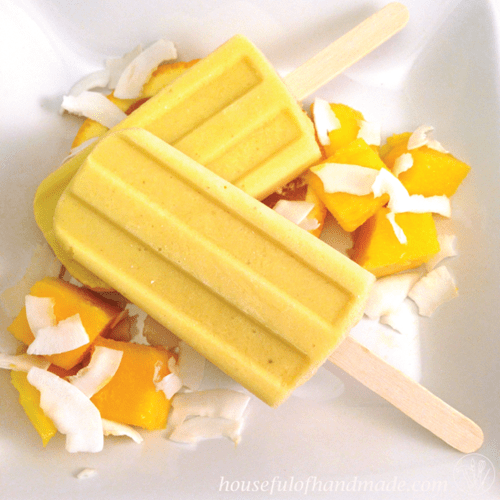 This week I’m continue to share all things summer with a few homemade popsicle recipes! 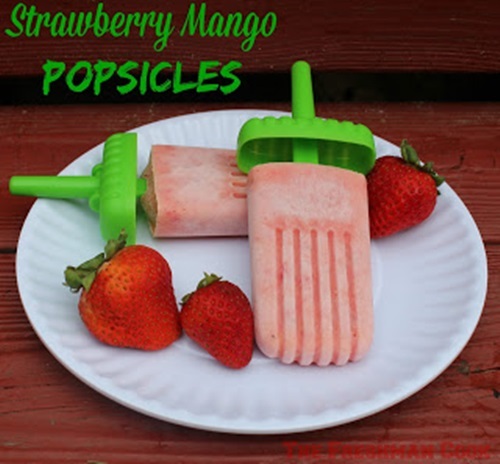 I just love popsicles, and making them at home can be a fun time for one an all. I hope you enjoy today’s fruity delights! Thanks for partying with us! Link up below! Hello. Welcome to this week’s round of Friday Favorites! And welcome to “the new” Simply Sweet Home! I’ve been planning a redesign of the site for some time now, and last weekend I finally found an extra few minutes in my schedule to install all the new graphics. Hope you guys like the new look! I’ve been featuring a lot of summer recipes lately, especially frozen and fruity items, so this week I decided to go in a slightly different direction with one of my favorite thing: Chocolate! Hello Friends. Welcome to this week’s edition of Friday Favorites. Even though summer hasn’t “officially” started on the calendar, I am loving this hot weather, and judging by all the great summer blog posts I’ve been seeing, I expect everyone else is too. Summer is the season for ice cream and popsicles (although I must admit, I’m an ice cream fiend year round). 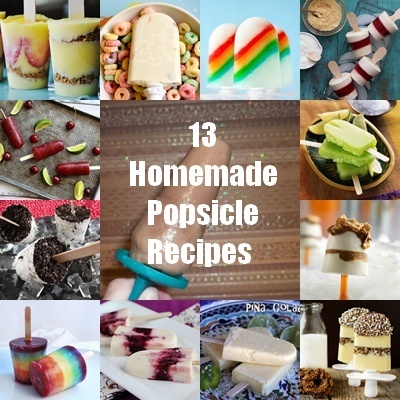 This week gathered together 13 Homemade Popsicle Recipes! 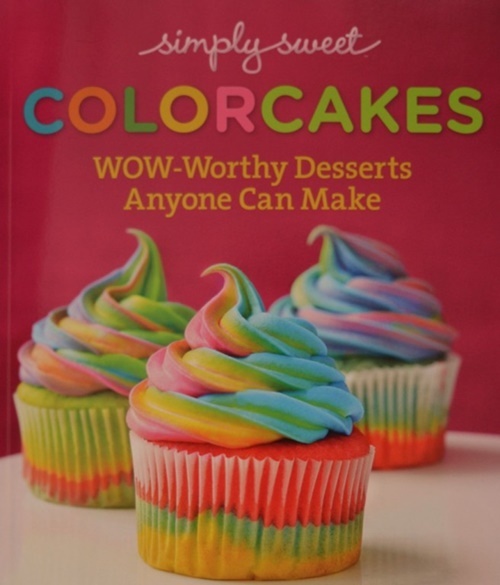 I hope they make you feel inspired to run in the kitchen and make your own cool treats! 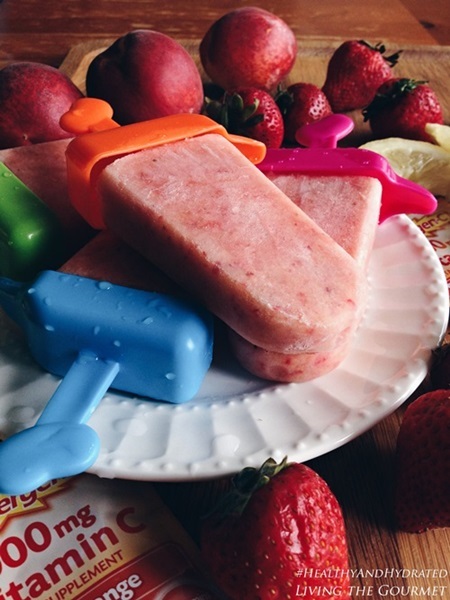 And if you need more inspiration, please check out my Frozen Treats board on Pinterest! As you know, I’m always looking for new recipes and new recipe blogs and websites to explore! I recently found Whisked Foodie. It has a number of recipes that are just perfect for summer from salad recipes to dessert recipes. Today I’m sharing just a few summertime highlights from their site. 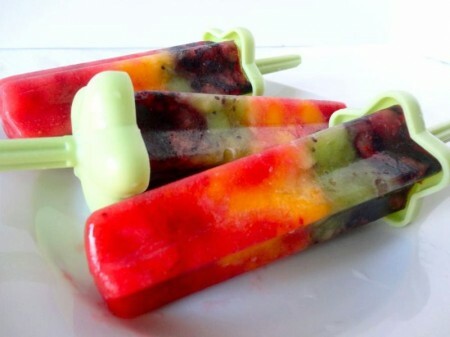 Lately I’ve been perusing the internet for homemade popsicles. At their site I found a really great tutorial that will help you make any kind of popsicles you like.